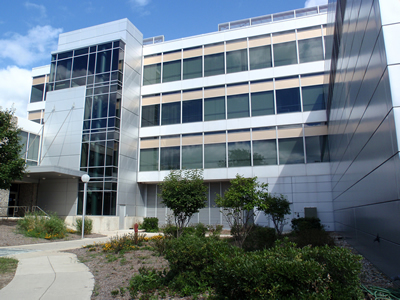 The North Campus Research Complex Building 20 East renovation project encompasses approximately 68,000 gross square feet over four levels. Major building infrastructure systems that were original to the building will be brought up to contemporary standards to best support interdisciplinary biomedical research. More specifically, some of these improvements include providing new air-handling units; replacing primary heating, ventilation, and cooling distribution systems; renovating & expanding the toilet room facilities; providing accessibility improvements; and installing wired and wireless high-speed network access. Additionally, the research laboratory environments, last renovated in the mid-90’s, will receive minor upgrades and new finishes.